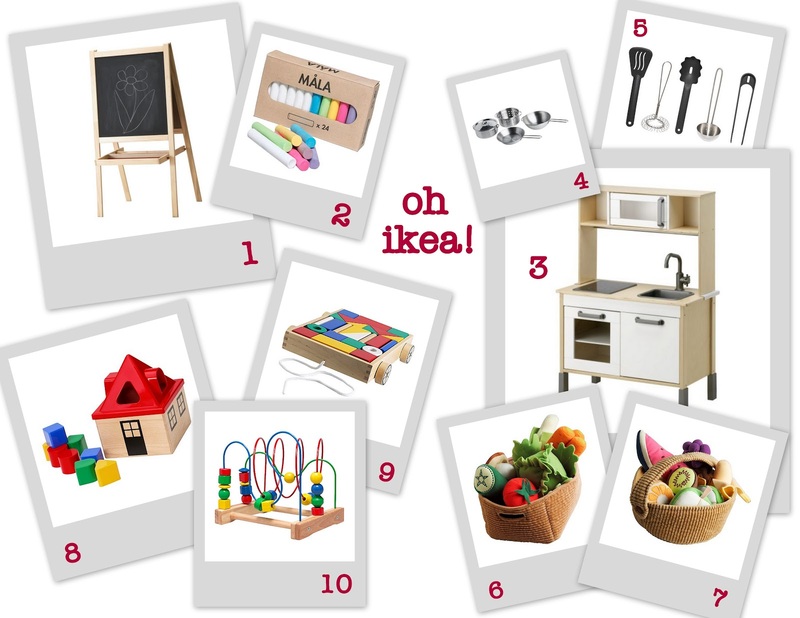 Making Room: Our Life in Sicily: oh ikea! I have always loved IKEA, beginning in the days when my mom took us kids there in Australia and we played in the ball tent for as long as she'd let us. As I grew up and chose furniture for my own room in college (remember those closets, Sarah?) and then needed to furnish a newlywed home on a budget, IKEA became a go-to for clean-lined, sturdy essentials. In our house in Sicily all our kitchen cabinetry and appliances are from IKEA. On a recent trip to IKEA I walked through the kids' section and almost melted into a little puddle on the floor. What beautiful wooden toys, brightly colored furniture, and darling prints... and so inexpensive! The little kitchen set in the above photo costs only €99, and the cloth food and dishes to go with them are about €9 each. Need to pay IKEA a visit again sometime soon!